Japan has the 10-y Bond Auction and the US will release the crude oil inventories, the final wholesale inventories m/m and import prices m/m. 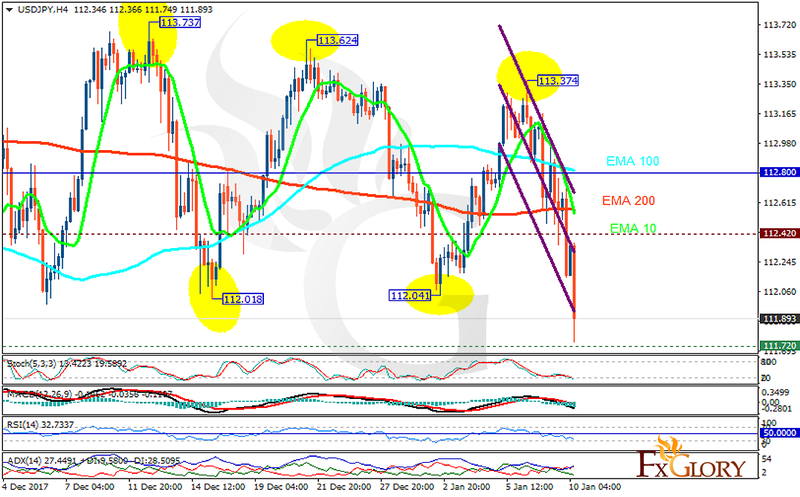 The support rests at 111.720 with resistance at 112.420 which both lines are below the weekly pivot point at 112.80. The EMA of 10 is moving with bearish bias in the descendant channel and it is below the EMA of 200 and the EMA of 100. The RSI is moving in oversold area, the Stochastic is moving in low ranges and the MACD line is below the signal line in the negative territory. The ADX is showing sell signal. All indicators are showing downward trend however, USDJPY is not going to break the 111.5 level, it will soon start its growth towards 113.5.